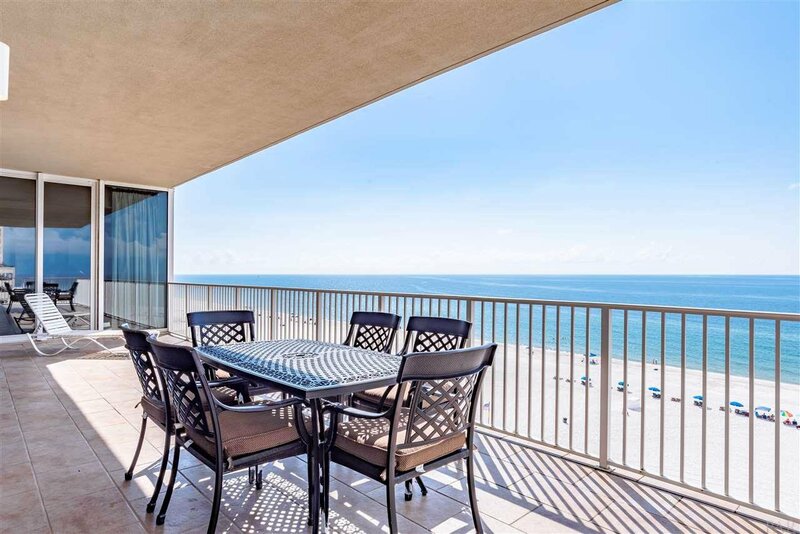 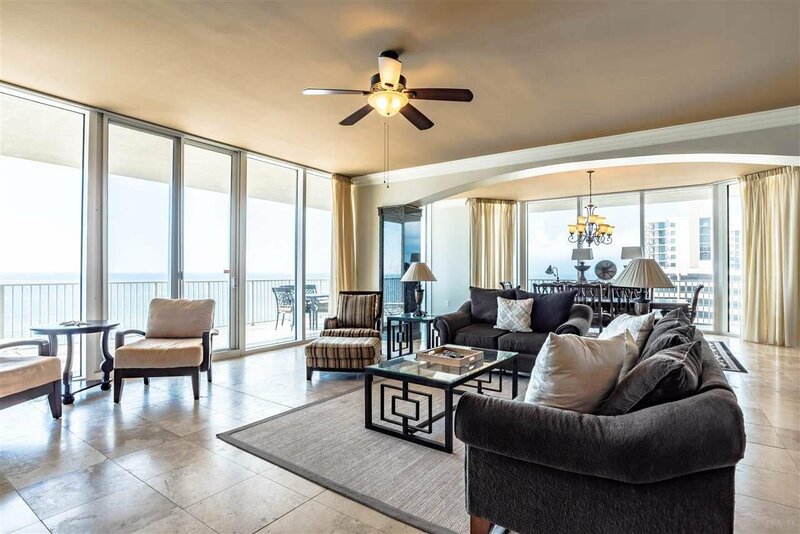 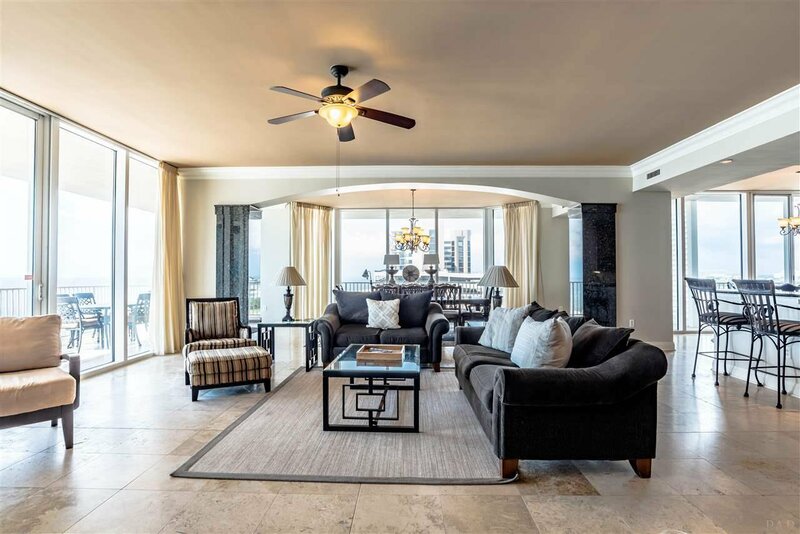 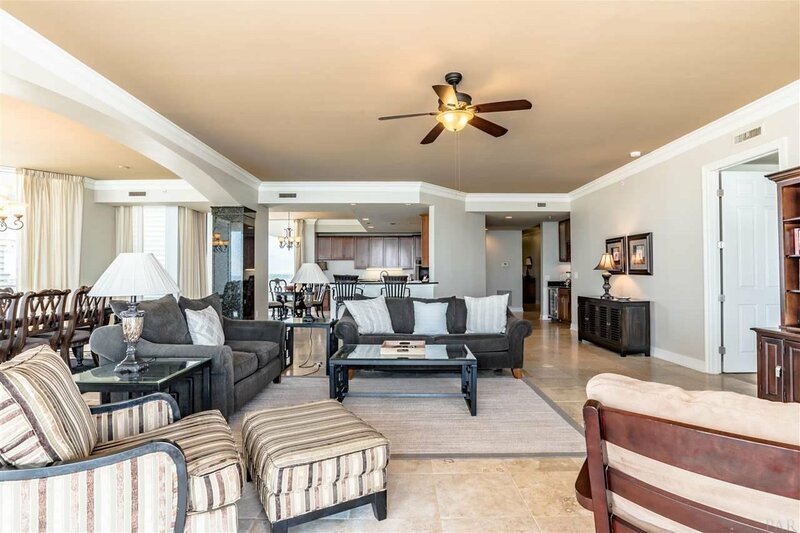 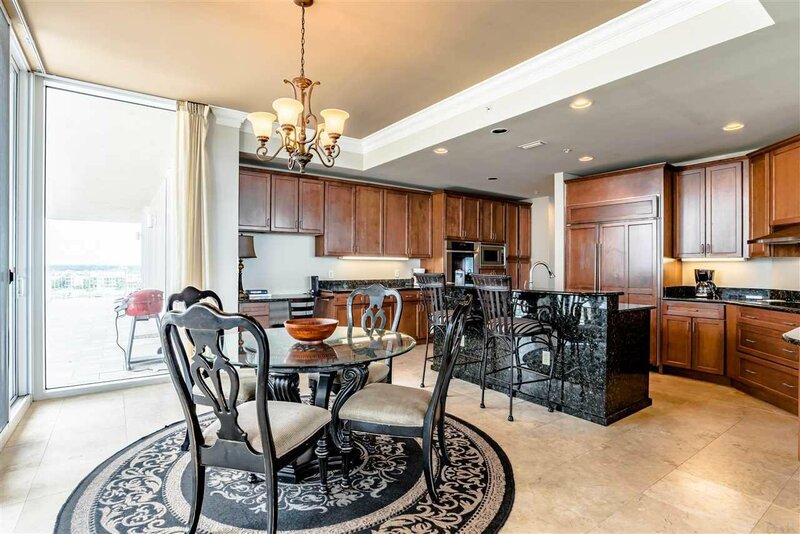 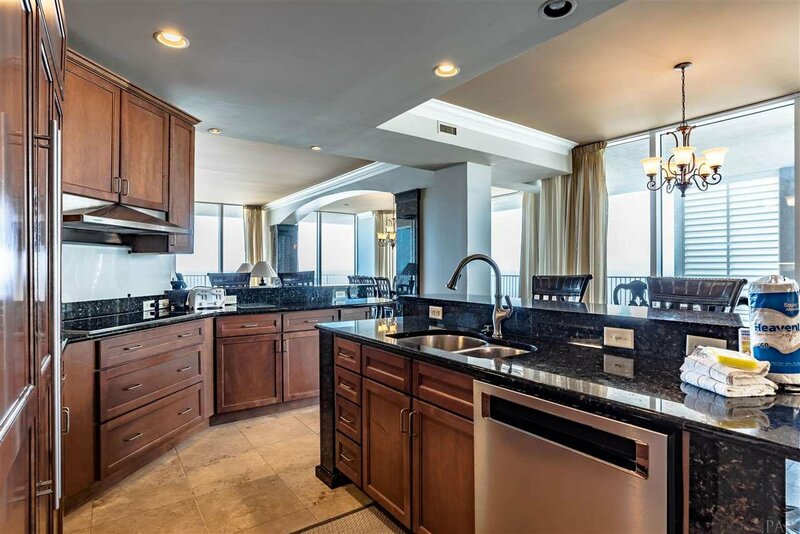 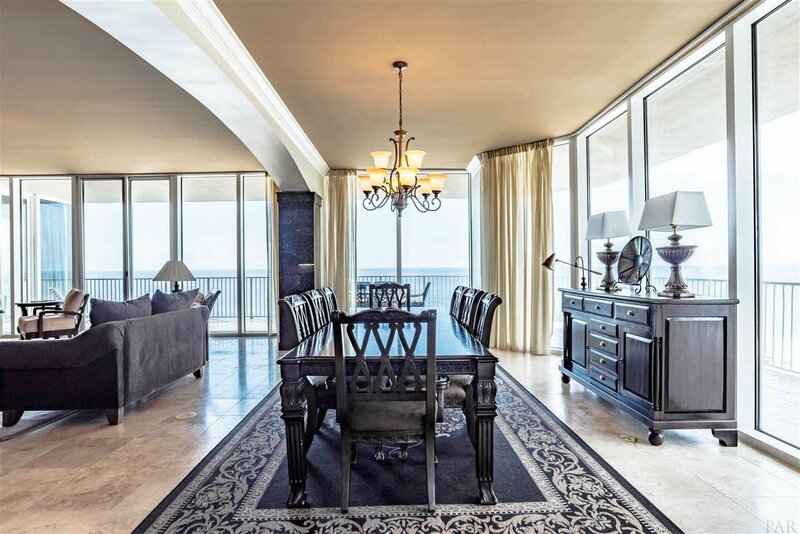 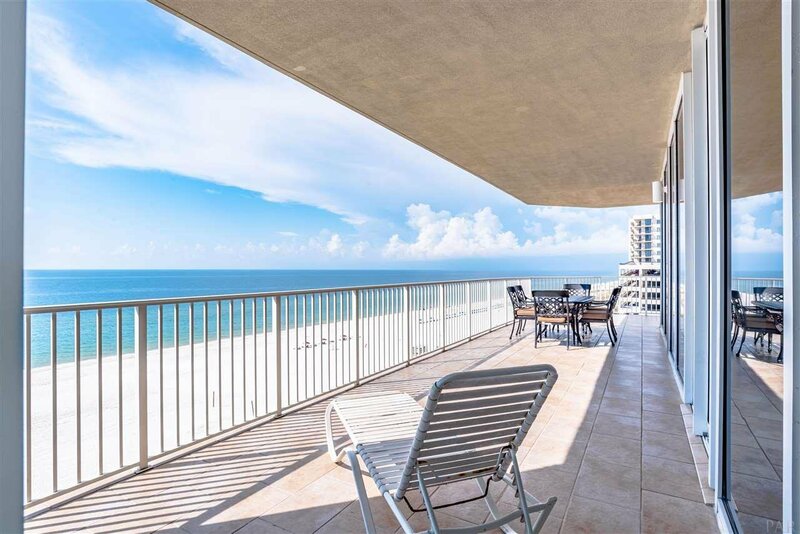 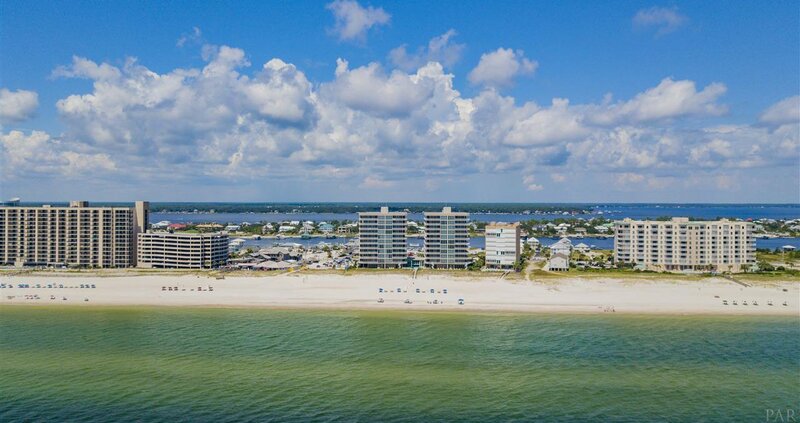 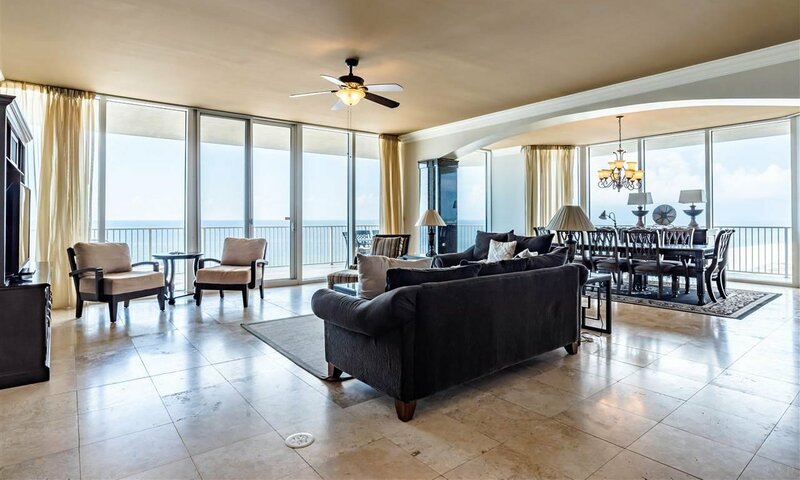 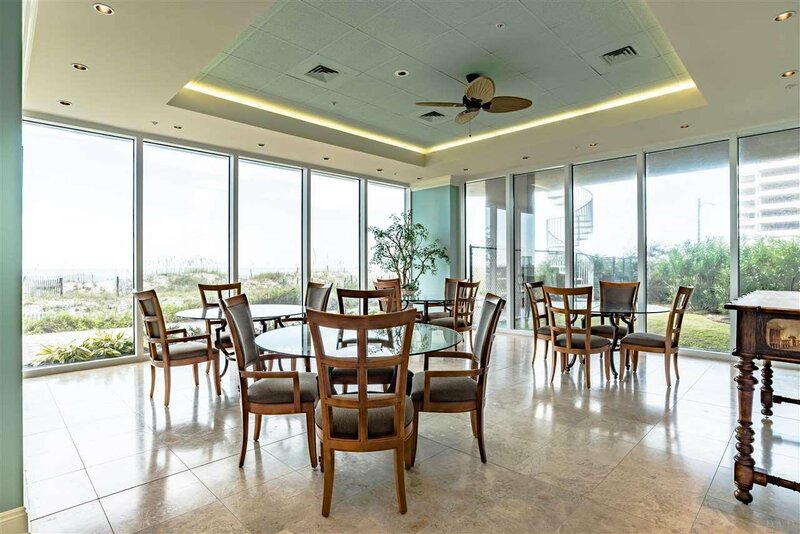 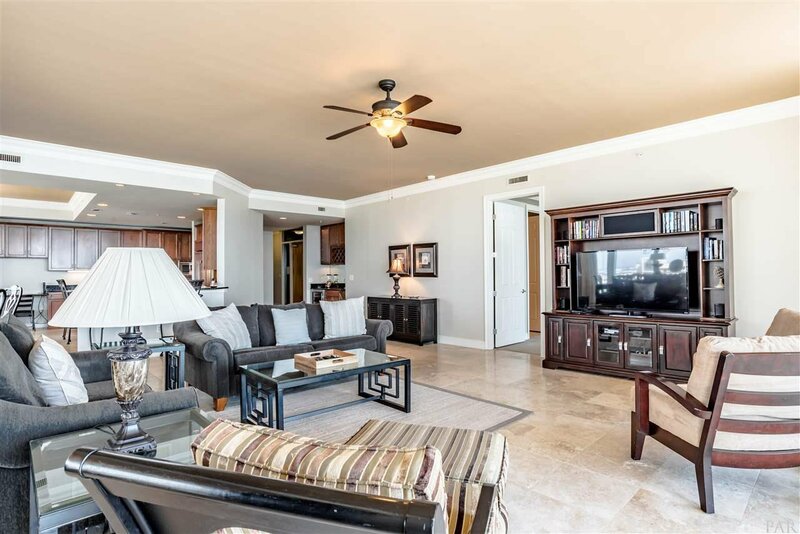 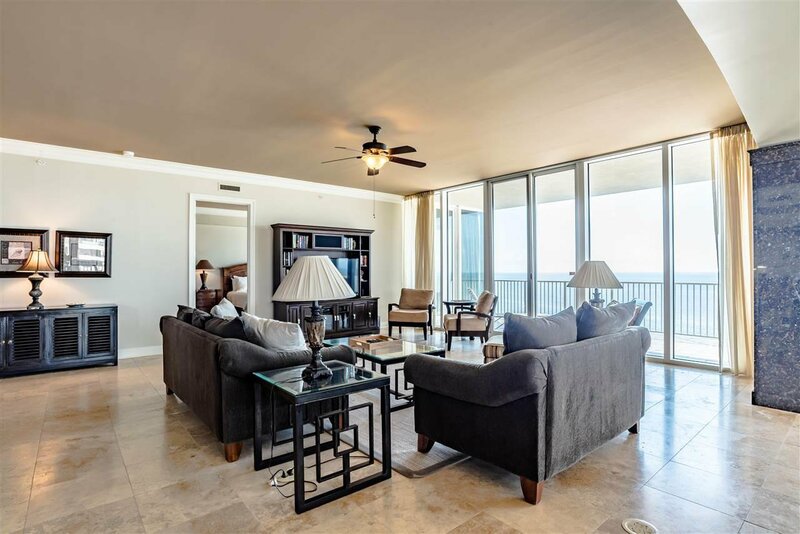 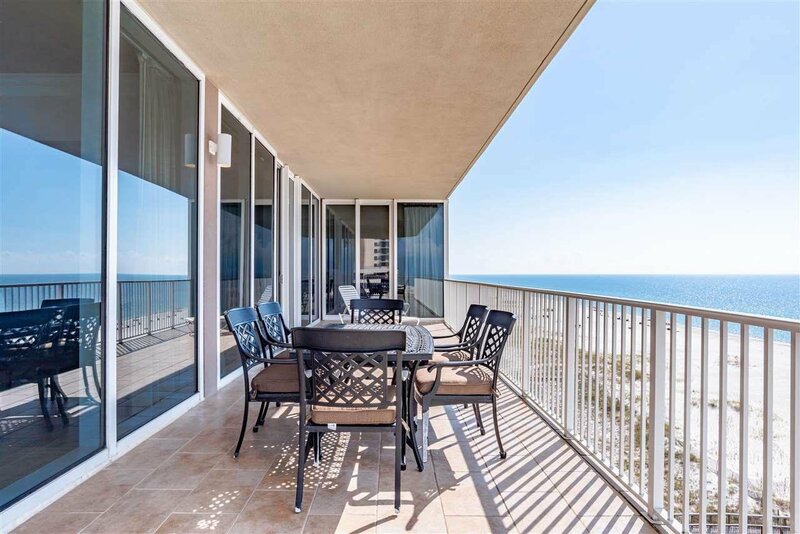 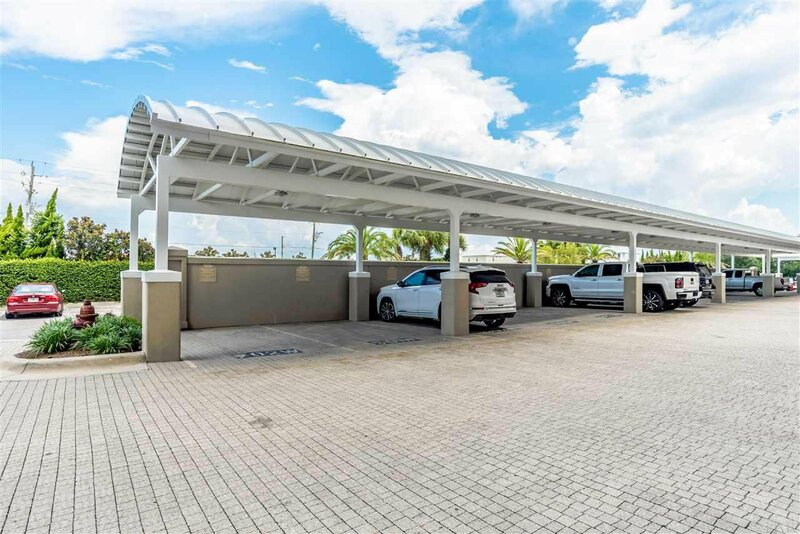 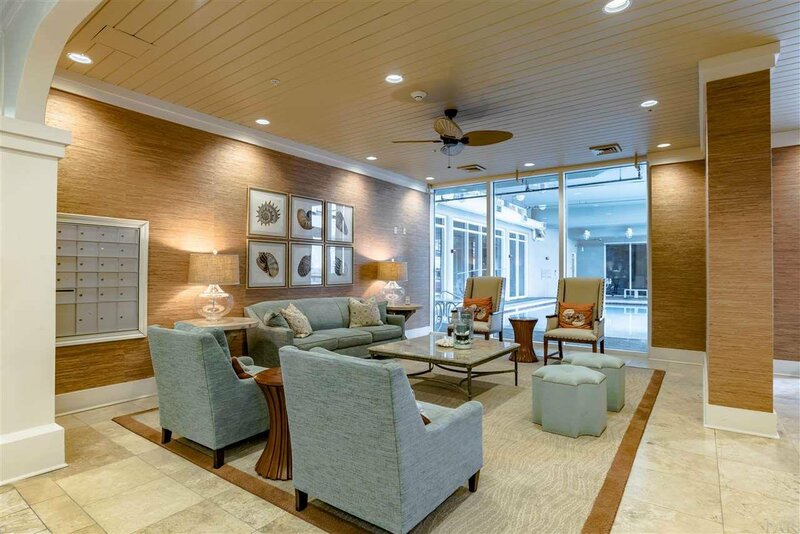 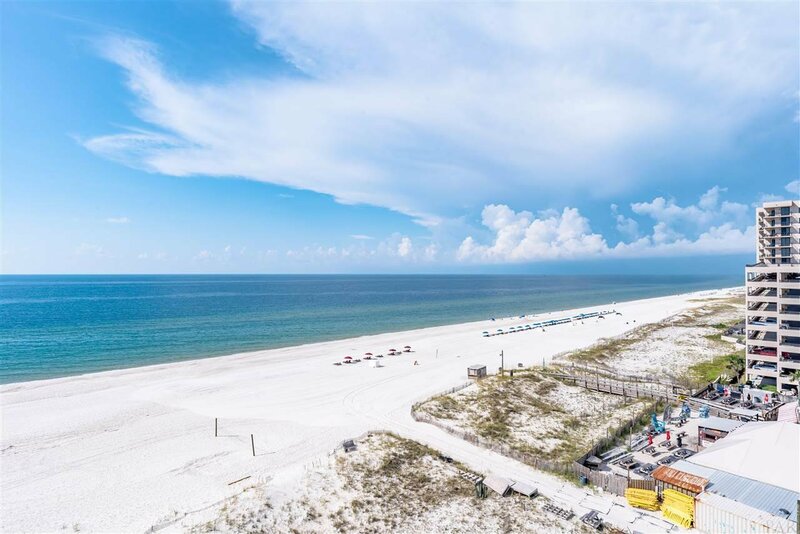 Stunning gulf, river and Ono Island views from this luxurious west facing, end unit with over 1500sf of balcony great for watching incredible sunsets. 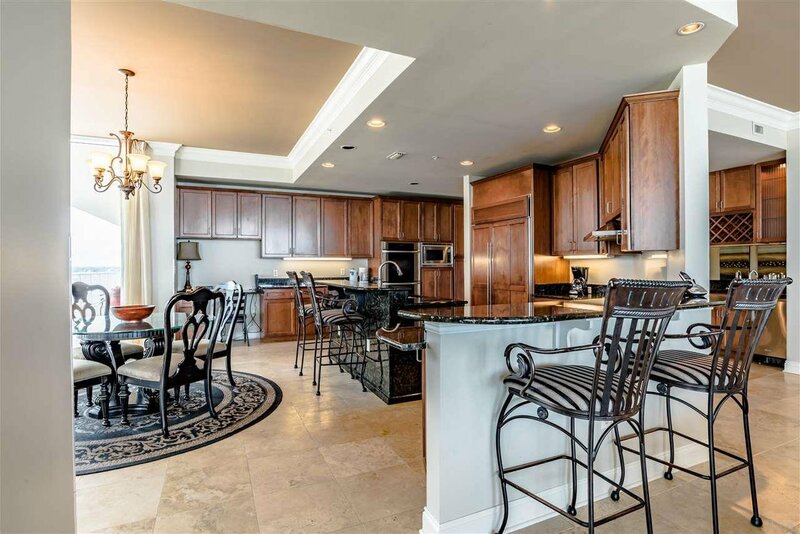 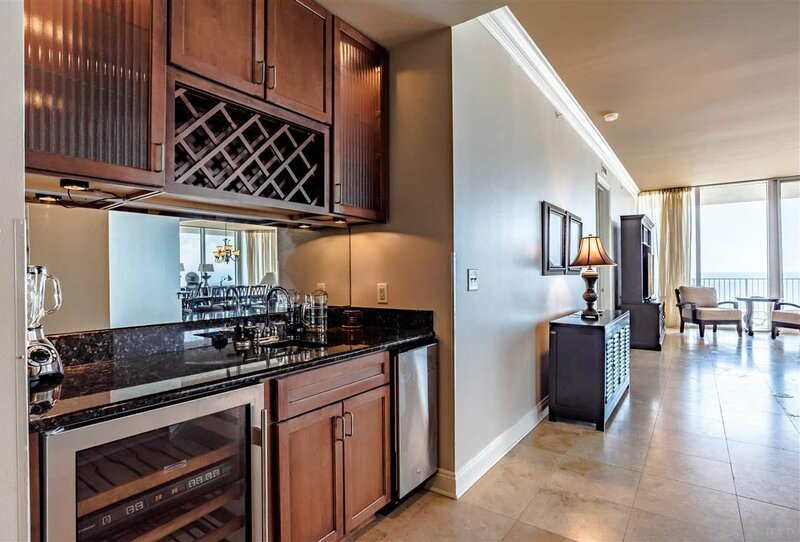 This unique stack has extra dining space with 2 separate dining areas, 2 breakfast bars and a wet bar complete with wine cooler, icemaker and sink. 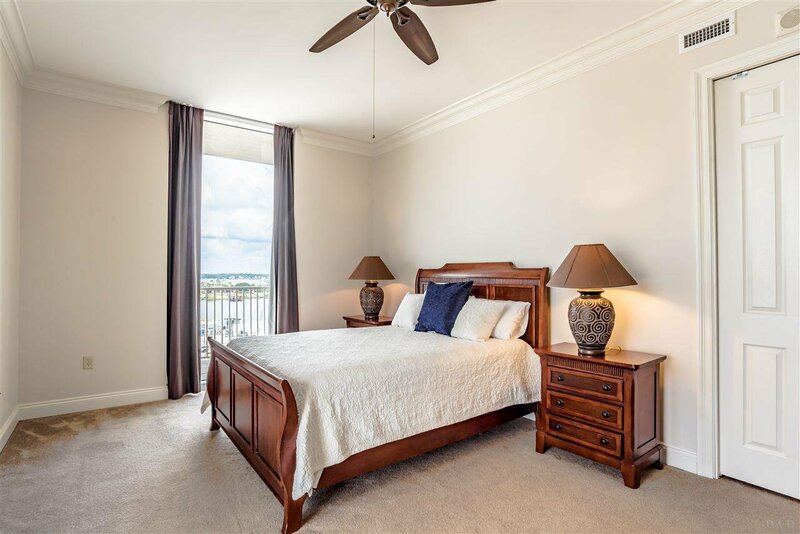 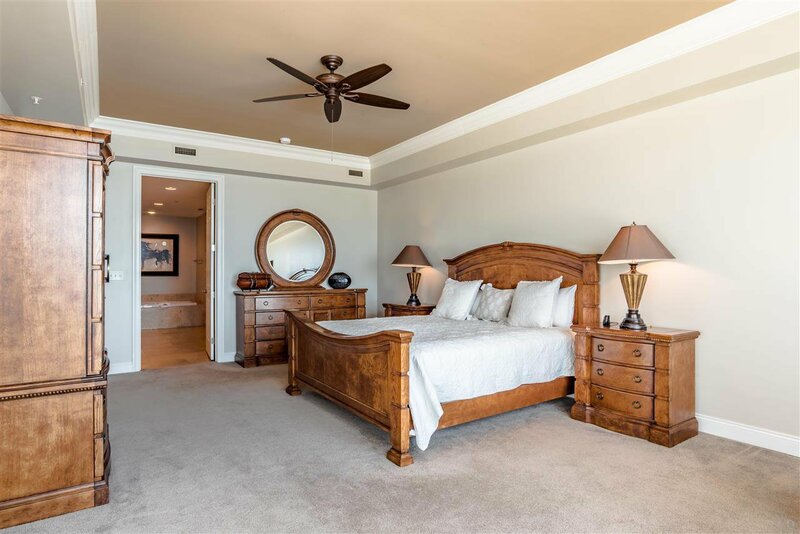 Here you will find floor to ceiling windows throughout, balcony access from every room, travertine floors in all living areas, and comes freshly painted in neutral tones. 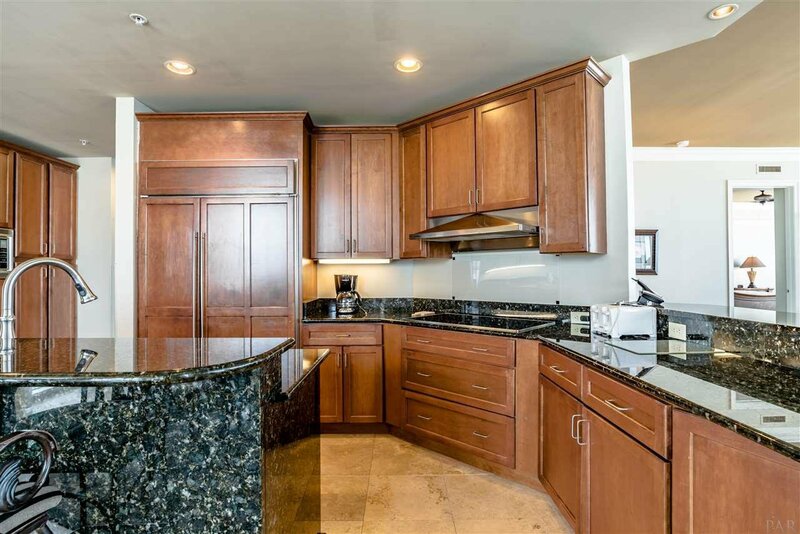 You will love entertaining from this well appointed kitchen equipped with double ovens, subzero refrigerator, tons of cabinetry topped with granite and brand new (9/18) dishwasher. 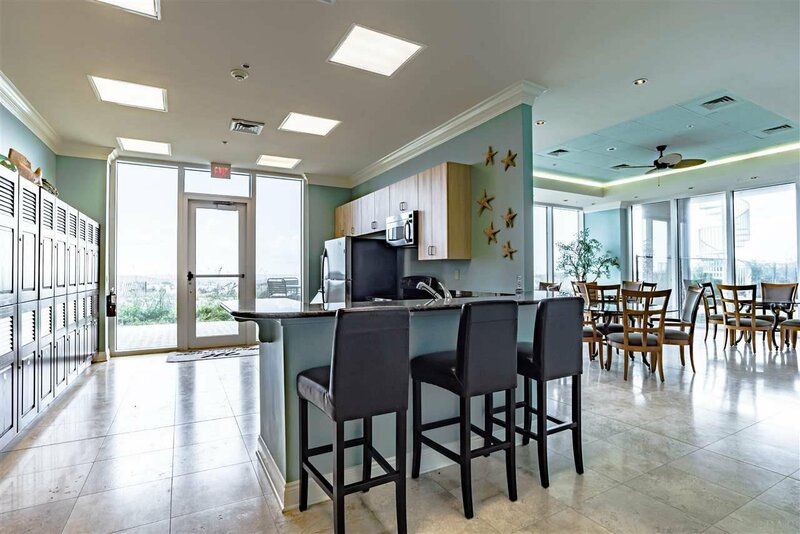 You also may choose to go out for dining and live entertainment within walking distance. 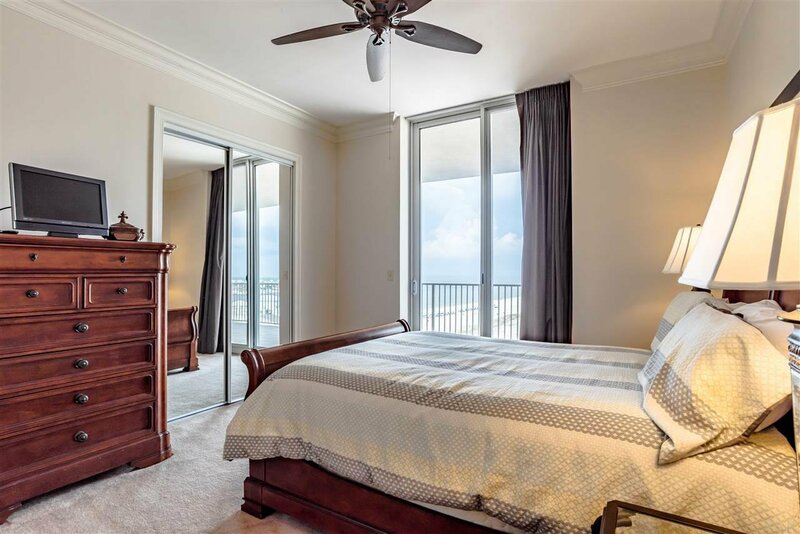 Master suite is oversized with sitting area overlooking the beach great for enjoying your morning coffee or an evening cocktail. 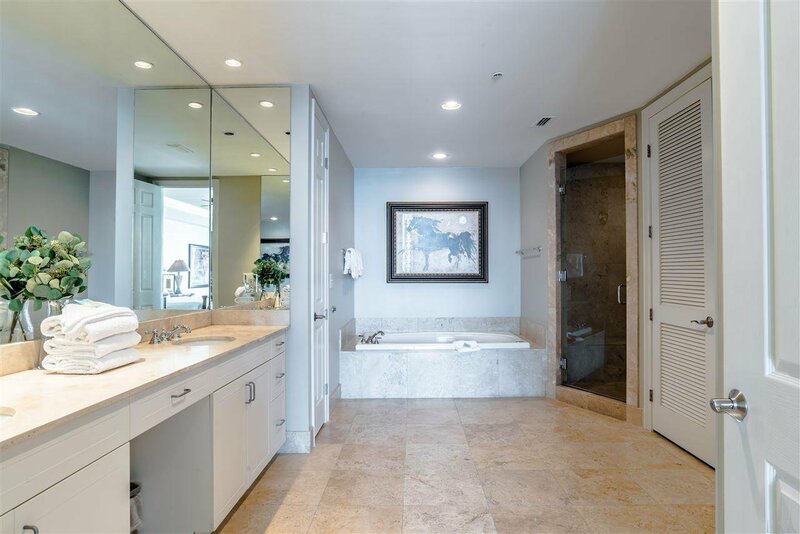 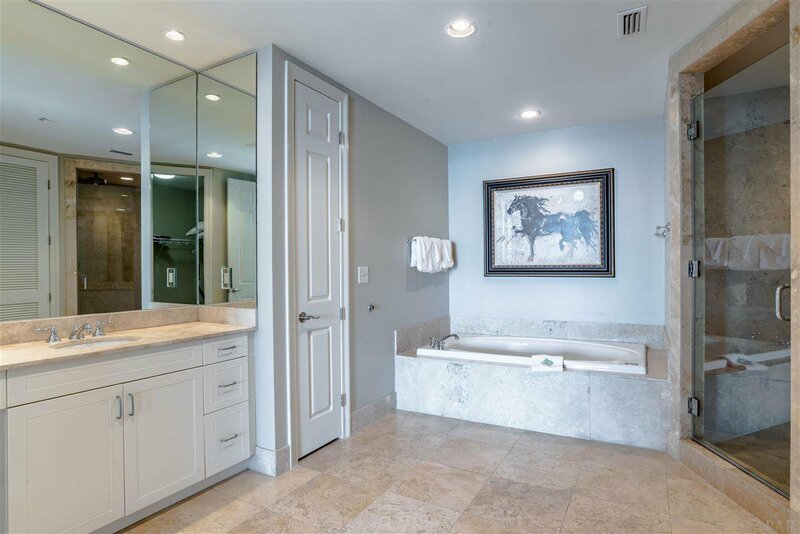 The master bath has steam shower, jetted tub, marble topped double vanities and walk in closet. 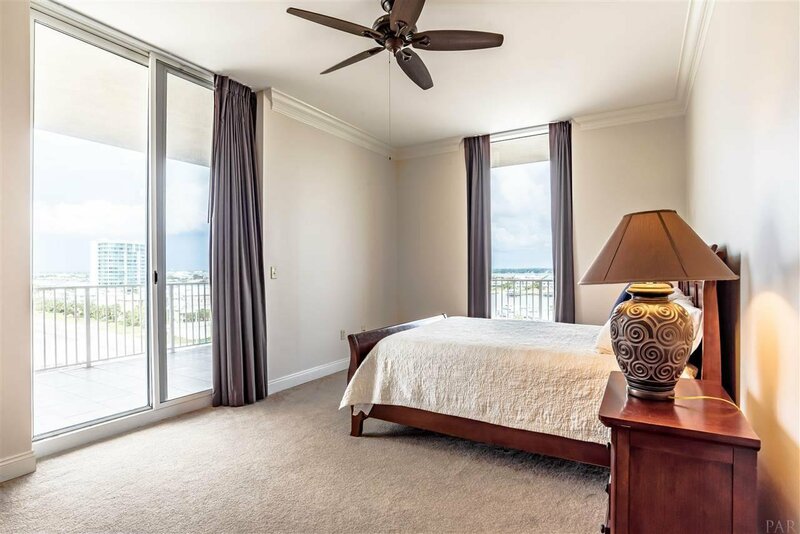 The other 3 spacious, en suite bedrooms have water views and balcony access for incredible views. 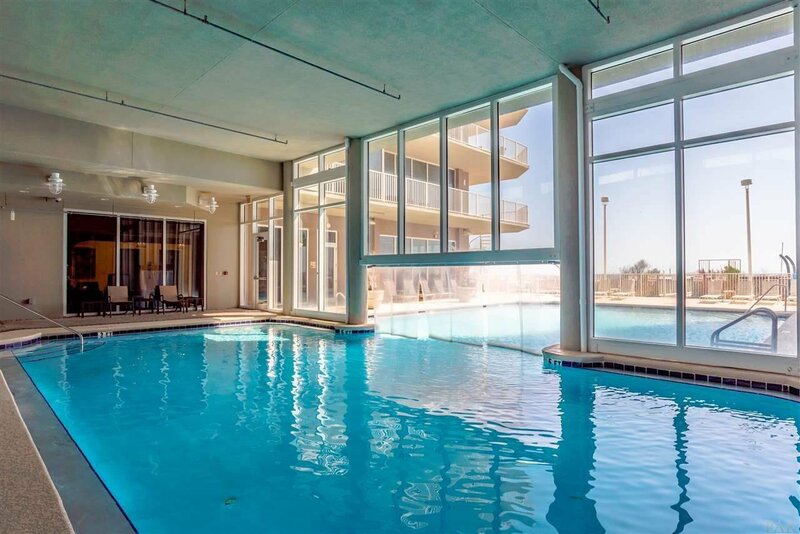 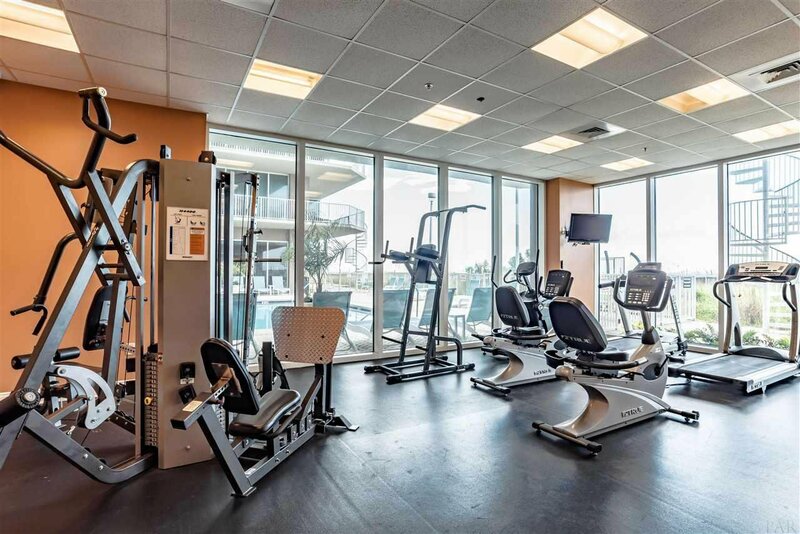 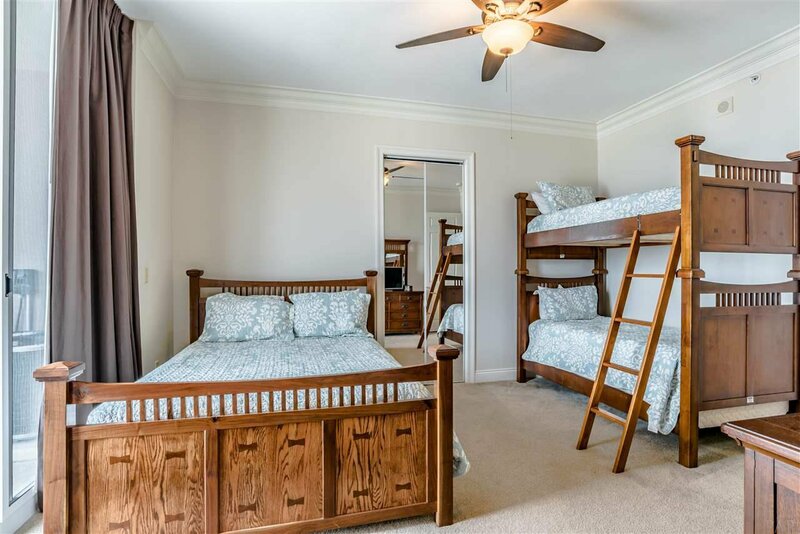 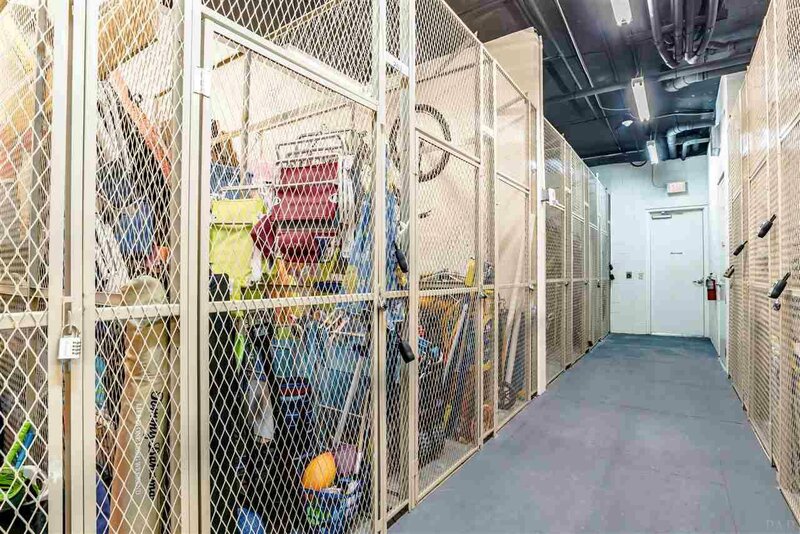 There is also nice amenities for your enjoyment from both indoor and outdoor pools, fitness room with sauna, community room and even large cages for your outdoor beach chairs and toys. 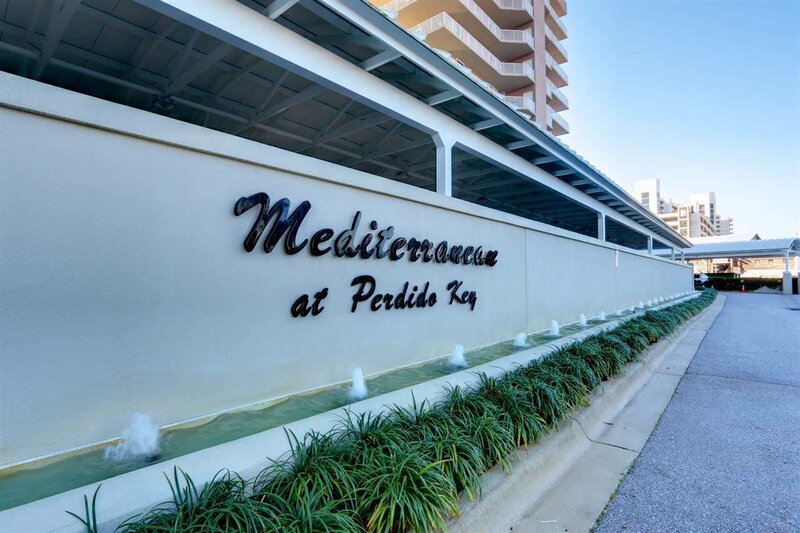 Mediterranean offers great security features from gated entry, coded lobby doors, covered assigned parking, with security cameras monitored entry and amenities and an elevator that take you directly to your own 19x5 foyer. 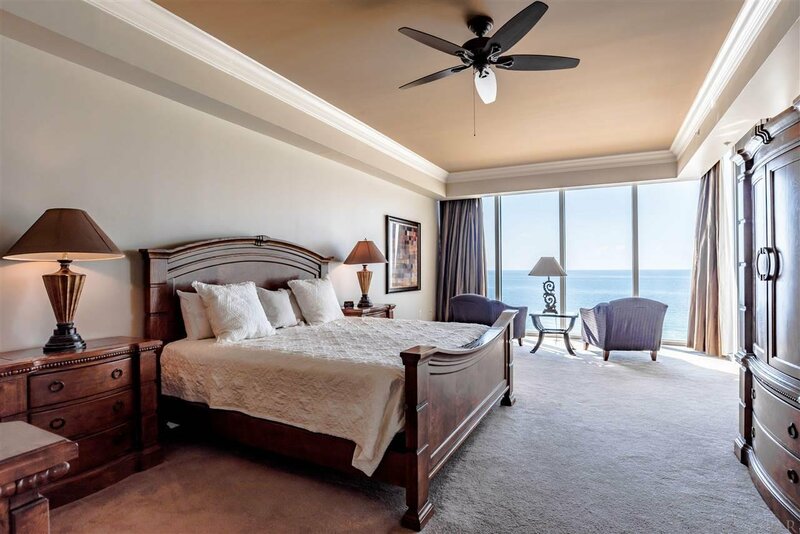 The property has a strong association with well over 1 Million in reserves! 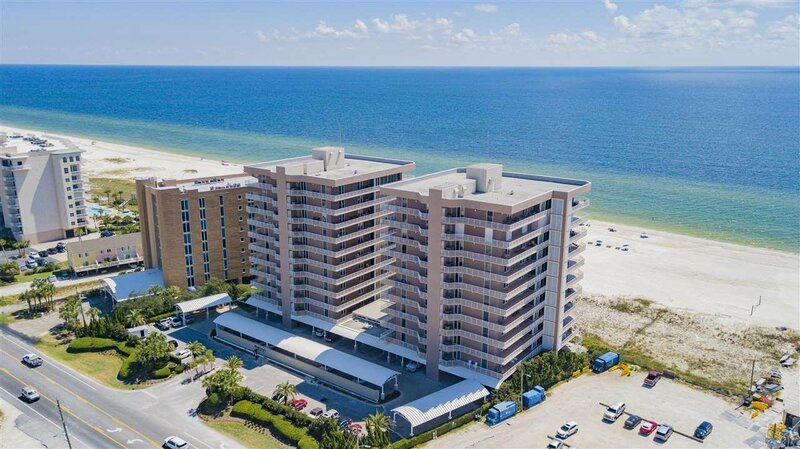 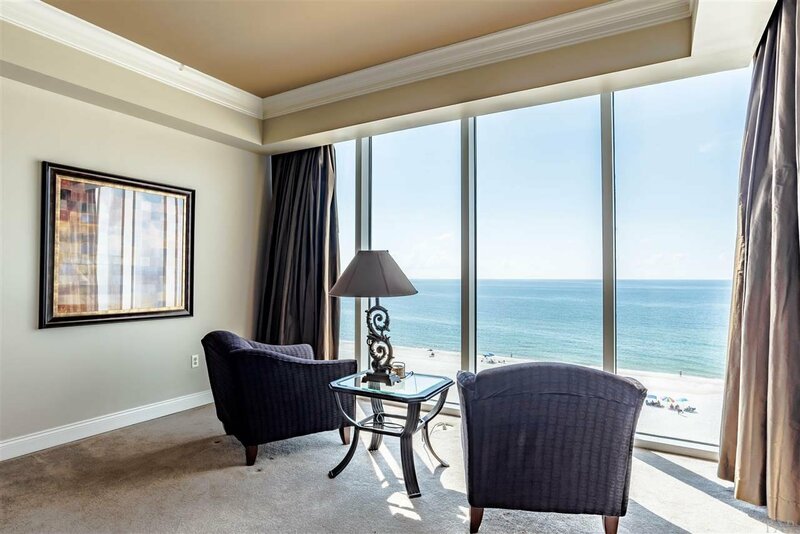 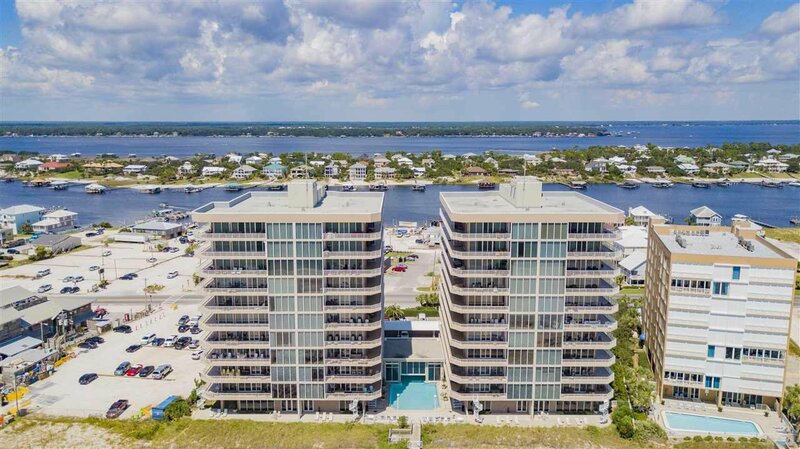 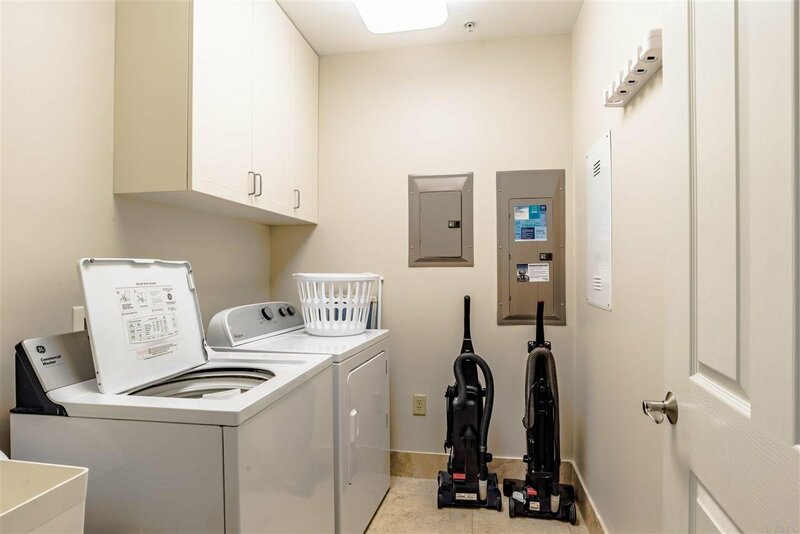 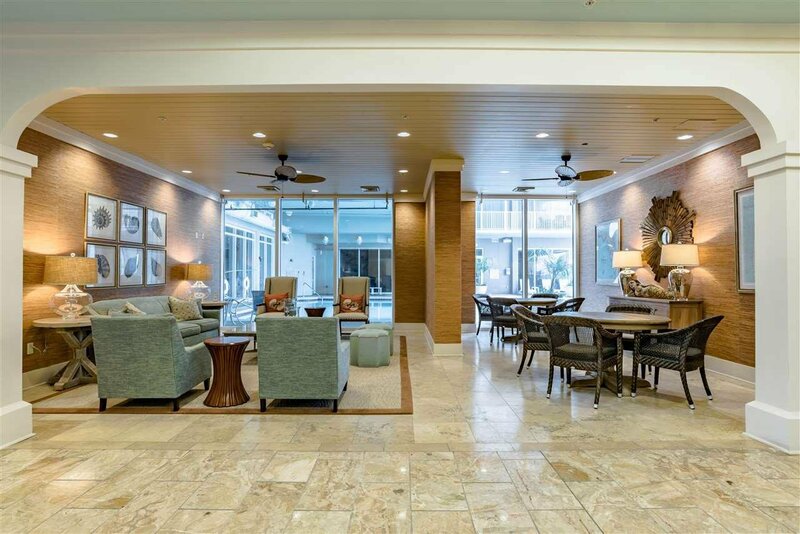 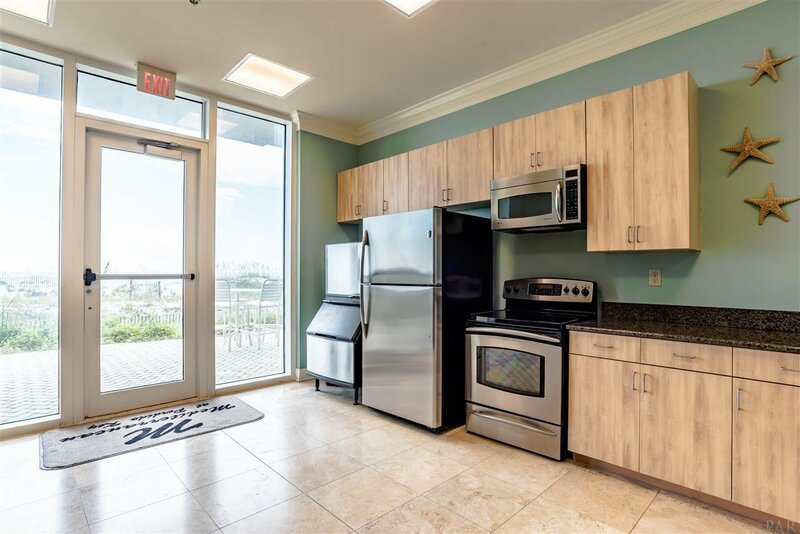 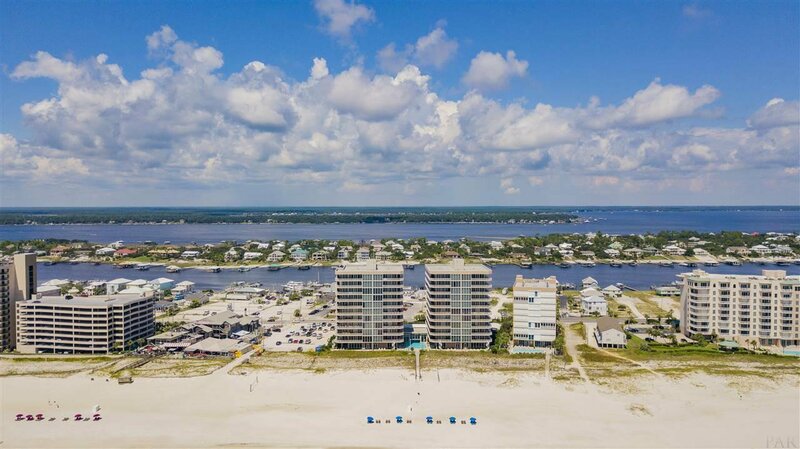 The 702W comfortably sleep 12 and dines up to 16 so no matter whether you are looking to live full time at the beach or for a second home with great rental potential this is truly a must see condo. 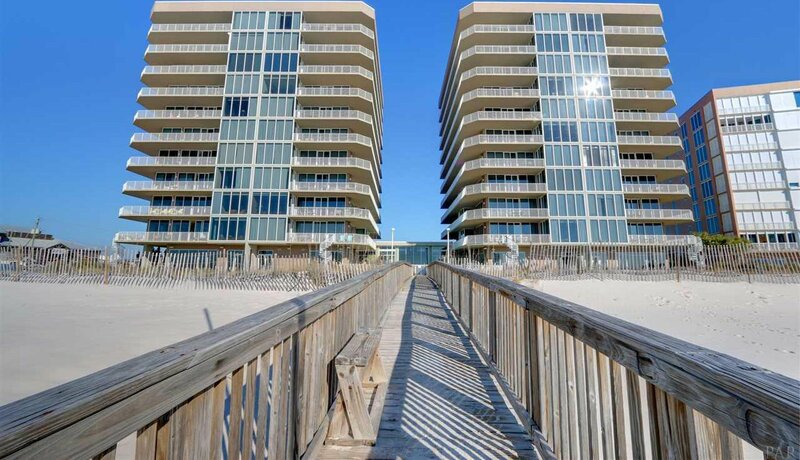 Property is low density with only 2 units per floor and only 20 units per building and overlooks 2 states and an island! 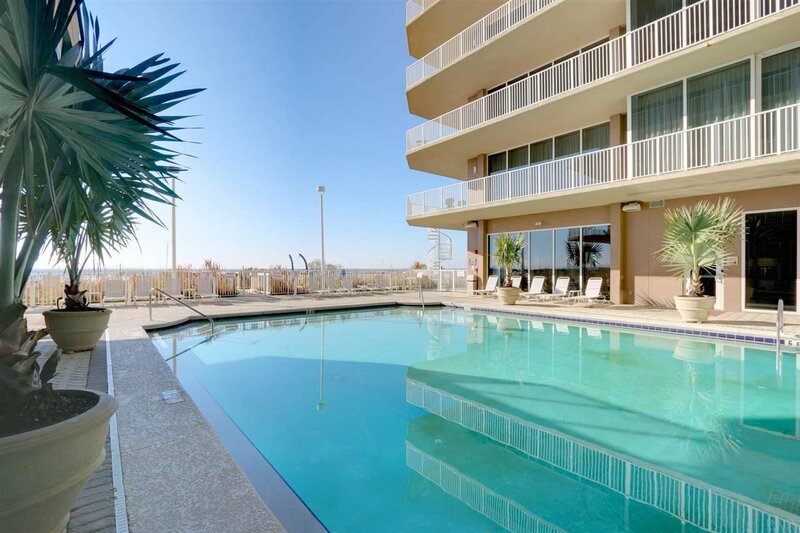 Come make 702W your new piece of paradise to enjoy from sunrise to sunset! 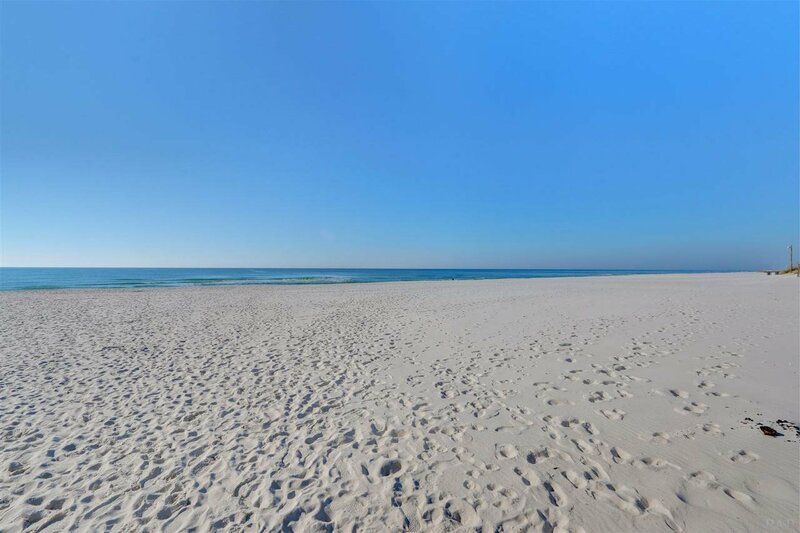 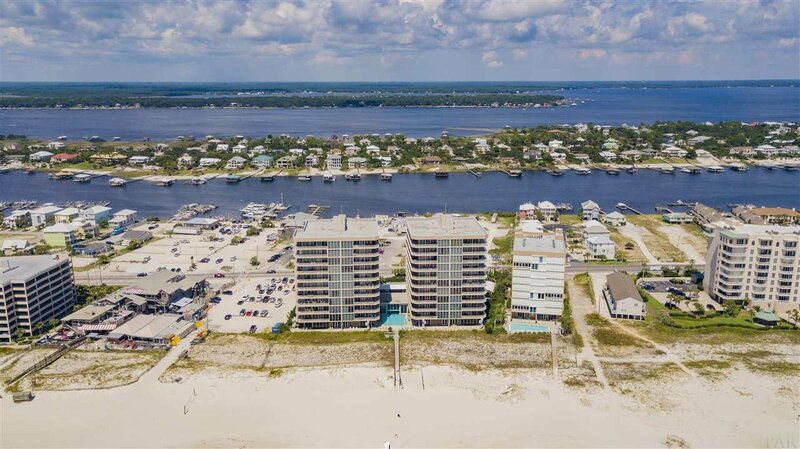 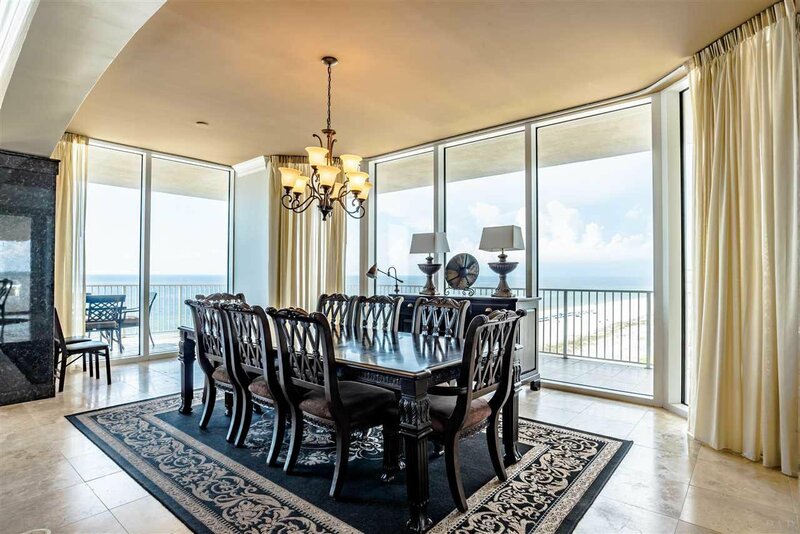 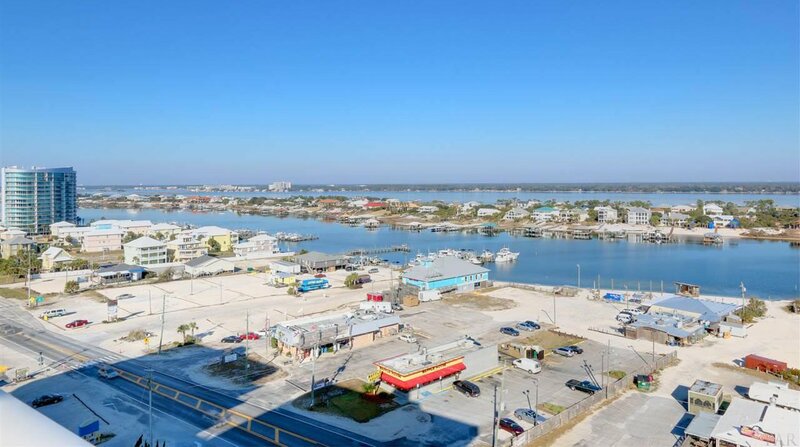 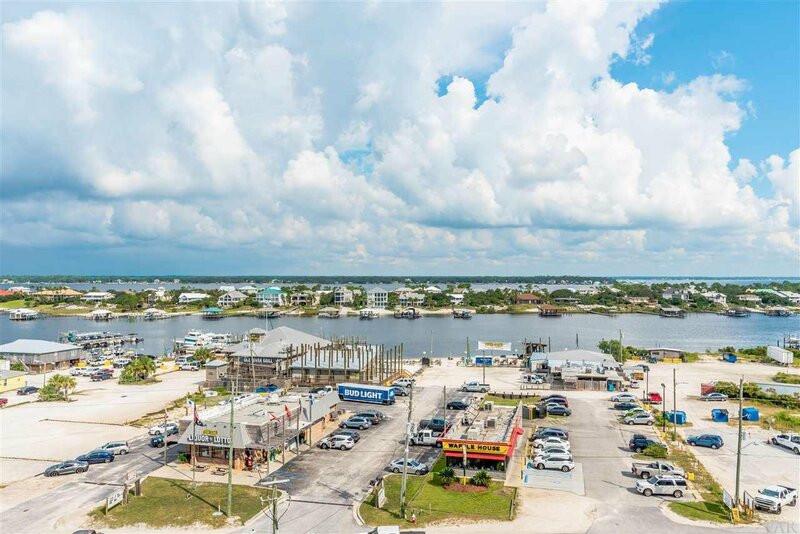 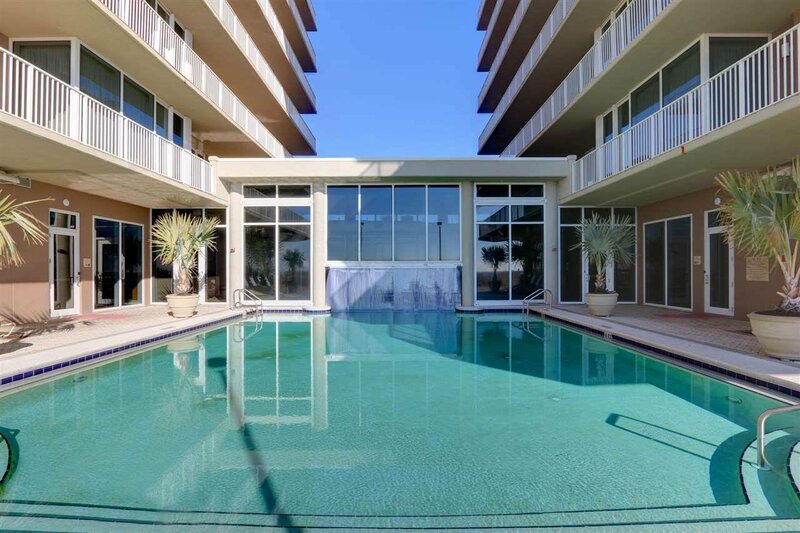 New improved price at $330@sf on beaches of Perdido Key!